Mail4Rosey: Vandor Has Marvel, Sonic, Snoopy and More! I gotta tell ya, I'm all about the fun things like you see above. Bring me four Marvel Comics coasters, a pair of Sonic glasses and a Snoopy drinking cup and I'm just downright giddy. You can find all of these items and SO MUCH more at https://www.amazon.com/vandor. Though I'd love to say I claimed this one for my own, I do have an 8-year-old in the house, so I played nice and surrendered it to him. He takes this cup everywhere! Sonic was my 2nd oldest son's favorite video game when he was a kid. He had a stuffed Sonic that he took everywhere In fact, I'm pretty sure I have it still in his baby box (that's where the favorite-favorite things went). The coasters are awesome too. They're ceramic and they have four popular Marvel characters on the front. I think Captain America is my fave, but honestly I like them all. See the little Woodstock at the top? Cracks me up. Oh yes, I do love this glass (did I mention that already?). All of these items are available at https://www.amazon.com/vandor. Vandor has so many items I love. Betcha can't go there and not fall in love. Way cool and your son is every so handsome. Those look neat....and it you are a Marvel fan...you are in luck!! I'm sure the kids everywhere will rejoice when they get this as a gift. And how nostalgic are those sonic glasses! I really like the designs, even the coasters are awesome. These are my kind of glasses and I'm sure that my son will love the Sonic the Hedgehog ones as well as the marvel superheroes! If I had these, I'm definitely keeping the Snoopy for myself. How cute are those! I'd love to have that tumbler. I love the coasters though I am not a super big fan of Marvel and I love the Snoopy tumblers. They are all so cute! They're all cool, I bet both my boys will love these, actually the girls will too! The Snoopy one is awesome! I like the cup. My son has some character-based cups and his favorite is Batman and Mickey Mouse. Im loving the cups, they're so cute and a great way to keep your child drinking and hydrated especially in the summer! How fun are these? I love a bit of nostalgia. I'm sure your eldest son would love the surprise! These are adorable!! We use cups like this all the time because we know the importance of staying hydrated and teaching our children to stay hydrated in the desert. I love the Snoopy cup and those coasters a great too. These are perfect for the Marvel fan! He looks thrilled with his glass! My brother loves superheroes, I bet he would love those coasters. Aren't those fun? I love the characters and the items they're on are very useful! I just love those coasters! I am all about superheroes so I think these are awesome! After you said Marvel, I had to check them out. You weren't kidding! They have tons of awesome stuff! 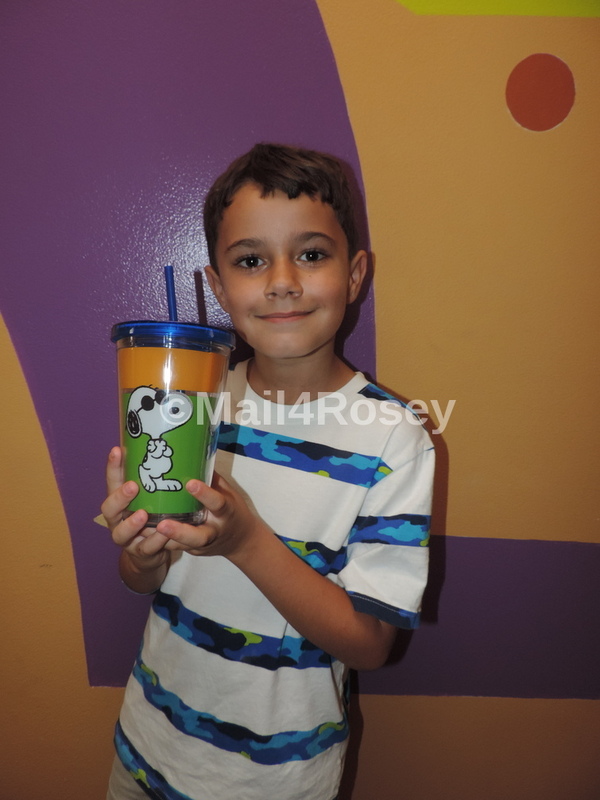 I love that Snoopy cup! My daughter actually collects cups like that. My son has his favorite cup too, he like his Mickey cup for breakfast. For dinner and brushing time, he like his Batman cup. Aren't they adorable. I love all those characters, especially Captain America. My kids would love them. These are adorable. I know my nephew would love all of it. Thanks for the share. Wow, the kid in me would like to jump at the sight of these characters on various assorted items! Sonic is awesome for some nostalgia, I'm sure I'll have the same feeling as your son. And Snoopy! Been a while since I last crossed paths with this cute one. My nephews love the Peanuts characters. My boys like superheroes. The sets are pretty fun! Omg what cute cups!!!! My daughter would be obsessed with that snoopy one! Pretty cool! So much more., up for grab whohoo! I just checked out their store on Amazon and they have the cutest little mugs!! I am loving that cute looking drinking cup and the coasters with those popular Marvel characters is quiet awesome too. My kids are going to love that snoopy cups right away! These are great! Woodstock is one of my favorites from the Snoopy series. My kids would love the Sonic ones.